Adding on from my previous updates about the HS2, it is now under discussion as to whether the proposed high speed rail link should start its construction from the North of England to give less wealthy cities a chance of economic enhancement. This was suggested by a leading economist along with proposing that the rail link should begin construction specifically from Manchester down to Birmingham and up to Leeds as this may help stich up the North / South divide. Jim O’Neill the current head of the independent commission concerning every aspect of growth within UK cities has said that withstanding plans to construct the London to Birmingham as phase one of the HS2 project are more likely to be beneficial towards the capital more so than Northern Britain. This is because more people may resort to commuting to London for work on the new HS2 line. Mr O’Neill later took part in a discussion in where he stated that instead of performing the first stage of construction using the above lines, it would make more sense to connect destinations to the Birmingham stretch that have slightly smaller economic value. The first phase of the HS2 is set to become operational in the year commencing 2026 whereas the second phase which would be the Northern half is not dated to open until 2033. "Of course it could. You could certainly live in Birmingham and work in London when this happens. All this does is make it easier to get into London”. 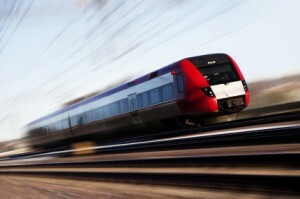 There are many ideas which are being devised in a bid to include all parts of the country on the HS2 line. Local Authorities in Greater London are looking at ways to increase national economic growth as well boost the economic circumstances of cities across the UK. However, many worries are displayed issuing that London could well become an unaffordable and a no-go destination for the young people of the generation due to fears that an economic divide may happen between London and other regions. These fears stem from the fact that many parts of the capital are occupied solely by very wealthy people from overseas. A heated discussion also rose courtesy of Mr O’Neill because he had produced an idea that both Liverpool and Manchester could integrate into a single metropolitan zone that would possibly be named “Manpool”. Mr O’Neill greeted plans provided by the Labour Leader, Ed Milliband and Jon Cruddas, head of the party’s policy review, to devolve more power to the regions in hope that local authorities can then plan their own services and develop infrastructure without having to wait for Westminster’s allocations due to cuts or variations. If civic leaders had undergone a discussion on how to distribute £50 billion in the most economically beneficial way, they possibly wouldn’t have chosen a high speed rail link to London. Would you like your nearest town or city linking to the HS2 line?